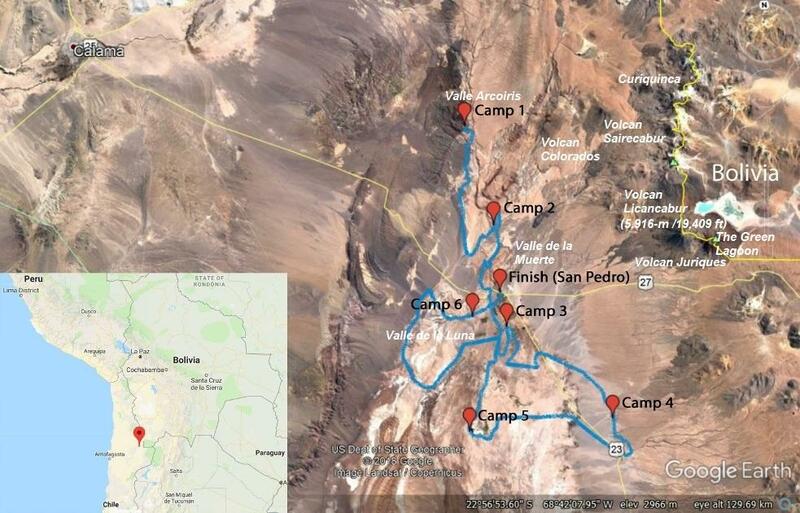 The course of the Atacama Crossing takes competitors across a wide variety of terrain and includes approximately 1,683 meters (5,521 feet) of ascents and 2,508 meters (8,228 feet) of descents over the 7-day race. 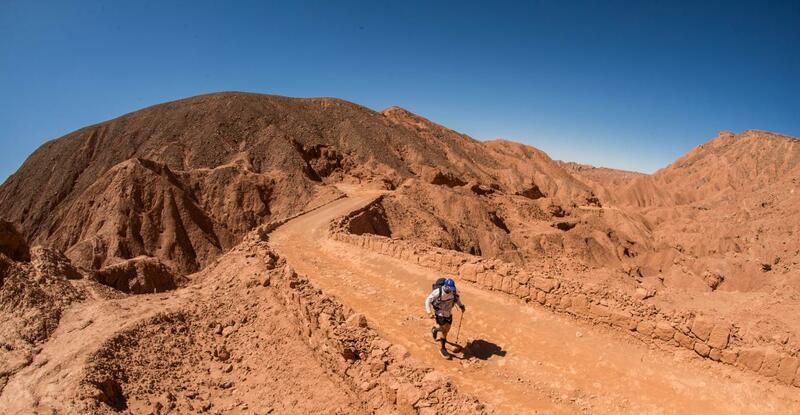 Starting at just below 3,200 meters (10,500 feet) in the Arcoiris Valley, the race gradually descends over the six stages to finish in the quaint town of San Pedro de Atacama at an elevation of 2,400 meters (7,900 feet). Competitors will go through magnificent salt flats stretching as far as the eye can see, run down huge sand dunes which will literally take your breath away, go through canyons where you can touch the walls on both sides and sleep under glittering night skies in the driest place on earth. The course is varied. You will tackle sand-dunes, river crossings, gravel, loose rocks, hard packed earth and even waist high grass. This is in addition to the infamous salt flats (described as "frozen brocoli / a ploughed field") that will challenge even the most dexterous of runners to cross at full-speed. 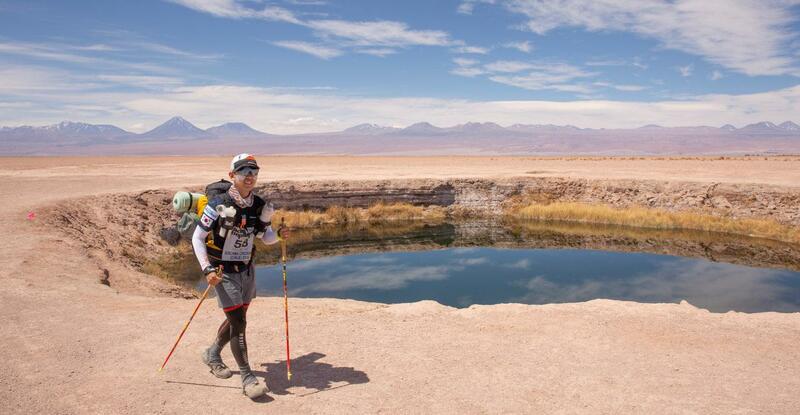 Each Stage of the Atacama Crossing has unique cultural, historical and scenic highlights that will encourage competitors to push themselves along to the next checkpoint. 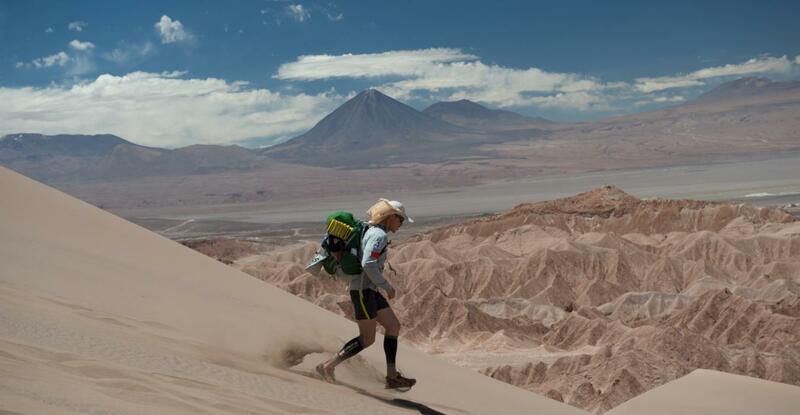 Below are some of the highlights competitors can expect to experience while crossing the Atacama Desert. Stage 1 – Navigation by Rock will take competitors through the multicolored Valle Arcoiris (Rainbow Valley) and along the Ancient Inca Road where there will be the opportunity to see ancient rock art from the Inca and Aymara traders who used this route in ancient times. Stage 2 – The Slot Canyons ensures that no feet are left dry, but takes competitors along the most stunning canyons of the course. Several breath-taking sand dunes allow for magnificent views across the plains with a chance to descend into the famous Valle de la Muerte (Valley of Death). 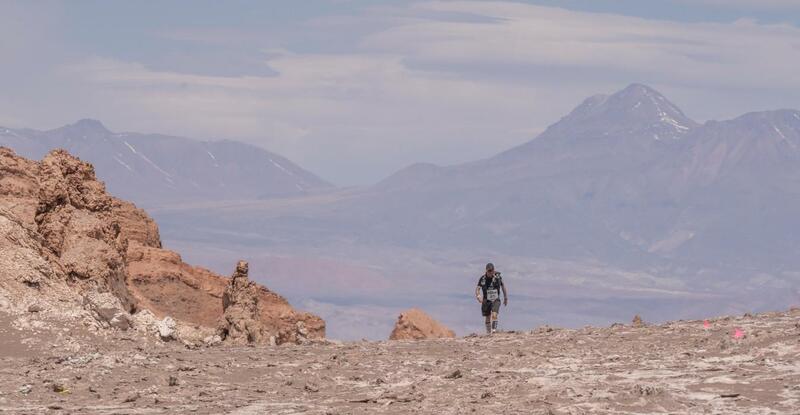 Stage 3 – The Atacamenos Trail introduces competitors to the “Lonely Tree” before entering the restricted ALMA Project land. The ALMA Project is the most expensive ground-based telescope in operation in the world. Atacama Crossing competitors receive special permission to enter this restricted area each year. Stage 4 – The Infamous Salt Flats are both challenging and surreal. 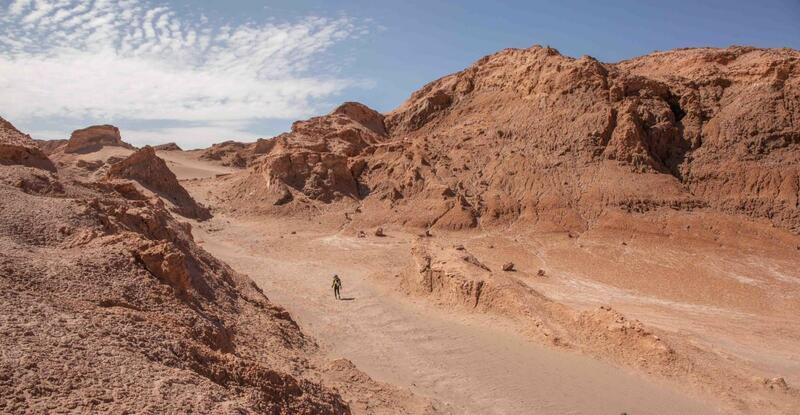 Stage 6 – The Final footsteps into San Pedro will lead competitors through the last kilometers with a fantastic finish in the ancient adobe-style Town of San Pedro de Atacama. *NOTE: that all distances are subject to change. During each stage checkpoints are located approximately every 10 kilometers (6 miles) along the course. Be logged on arrival by the race staff. Take a minimum allocation of drinking water with them for the next leg. Abide by any instructions given by the race staff due to sudden adverse conditions (e.g. thunderstorms, sandstorms, fog, etc). Rest for a short time and take advantage of the shade the checkpoint tent affords. Seek advice and treatment if appropriate from the medical doctor at the checkpoint. Please note that adverse weather and other factors can result in changes being made to the course. The much-anticipated Stage 5 in all of the 4 Deserts events is known as The Long March. Generally, this stage is between 70 and 90 kilometers (43 to 56 miles) long, roughly double the length of the previous four stages. The stage follows much the same format as the previous ones: checkpoints are located about 10 kilometers (6 miles) apart; however, many competitors will take the opportunity (the only one in the week) to have a few hours sleep at a designated Overnight Checkpoint. At the Overnight Checkpoint, there will usually be a tent in which competitors can sleep as well as a campfire or stove where hot water is available for drinks and meals.